My girls love these Starburst Braid Hairstyle. I am a typical lazy mom, with my long hair straight all day long or simply tie a ponytail, they are most of my daily hairstyles. 🙁 Do you ladies do as I do and think of ponytails as that thing we do even when we need go out and avoid the hassle of a fancy hairstyle. But while my girls are growing up, and their long hair makes me try something new for them! 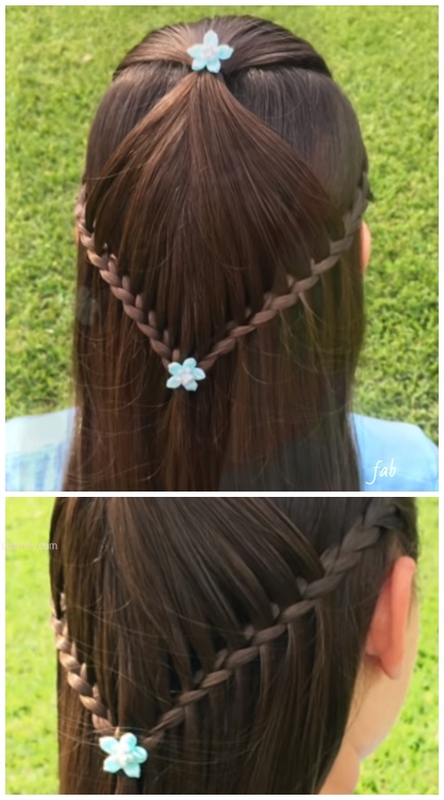 If you have long hair, you should definitely try the braids, change styles everyday, because there are so many Braid Hairstyle Tutorials available on my site already!! Braiding is also an art! And Kerry Lane is one of the best and most imaginative braiding artists in the world, sharing lots of hairstyles on her youtube channel. Let’s check it out of the following two different versions, which one do you prefer? DIY Wacky Hairstyle Tutorials For Crazy Hair Day!